Our Model GTA net machines have been designed to knit netting of heavy grade polyethylene or nylon twine for use to make trawling nets. Model GTA is constructed using heavy-duty materials and components throughout to ensure the required strength for knitting heavy netting. Various measures are taken to eliminate vibrations during operation. With its large bobbin capacity, machine operation downtime for bobbin replacement is shortened, resulting in a higher operating efficiency and productivity. The design of our new generation Model GTA net machines incorporate net manufacturers’ operational suggestions, resulting in machines that are easier than ever to operate and possess increased mechanical strength. Additionally, the twine range of these new GTA’s is more comprehensive and flexible than earlier models. All major parts have been expertly crafted through the use of the latest technology making them highly durable. 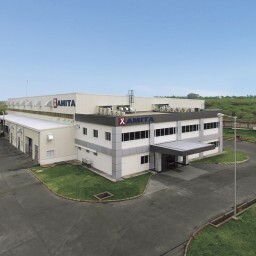 Amita has much experience in this type of manufacturing process. Something that our competitors cannot claim. The primary design is monitored with the aid of a CAD (Computer Aided Design) system. CNC (Computer Numerical Control) machine is used to finish the initial process of manufacturing. 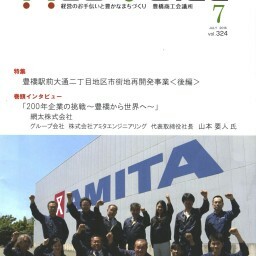 With this type of technology Amita is able to continue to evolve with the demands of the netting industry to produce ever better machines. 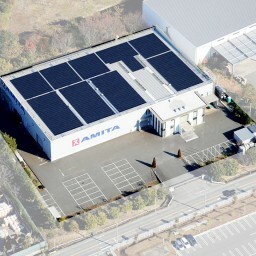 The GTA series of net machines is only one example of Amita’s commitment to excellence. We are sure that you will agree. Please contact us for more details or on how you can invest in one of these machines for yourself. Our new Model GTA net machines take advantage of ‘finite element method’ analysis to review components for structural integrity prior to production. After being designed using the most advanced CAD software, drawings undergo analysis for stress and weakness. Improvements to the original design are then made to minimize points of stress to insure smooth and proper function of all components. The life-span of components is also enhanced. Able to make precise netting from the first mesh, regardless of how large it is, thus eliminating twine waste. This is achieved by employing a micro processor to control the machine’s net forwarding mechanism. Machine life is longer, and looming movement is more stable and reliable. The cams are hardened by a heat treatment, and their groove are cut and finished to a perfect smoothness through the use of computerized machinery. Major components are engineered to be strong enough to withstand stiff, heavy and abrasive braided cord. Uniform warp tension and uniform knot tightening are obtained by use of larger rollers positioned at optimal locations. Locking systems have been used to insure the keys stay in place on the shafts. This device produces netting sheets that are flat on one side. Switching between knitting standard mesh and untwisted mesh is easily done by changing the reed driving cam and the upper hook rotating cam. 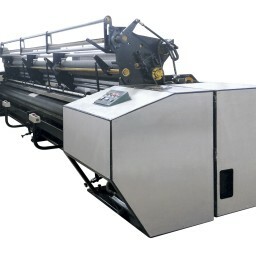 Model GTA net machines can be designed to knit untwisted mesh, standard mesh, or both types. Selvage meshes are uniformly produced slightly larger than normal mesh size. This facilitates joining of two or more sheets of netting. Twine supply is adjustable. This device passes a twine through selvage meshes. This twine is used as guide for passing a steel bar through the selvage meshes prior to stretching. At locations where the netting sheet is to be separated, knot formation is avoided by passing the warp twine through a hole in the reed that is lower than usual holes. With this system, the warp twine does not reach the upper hook to form a knot. 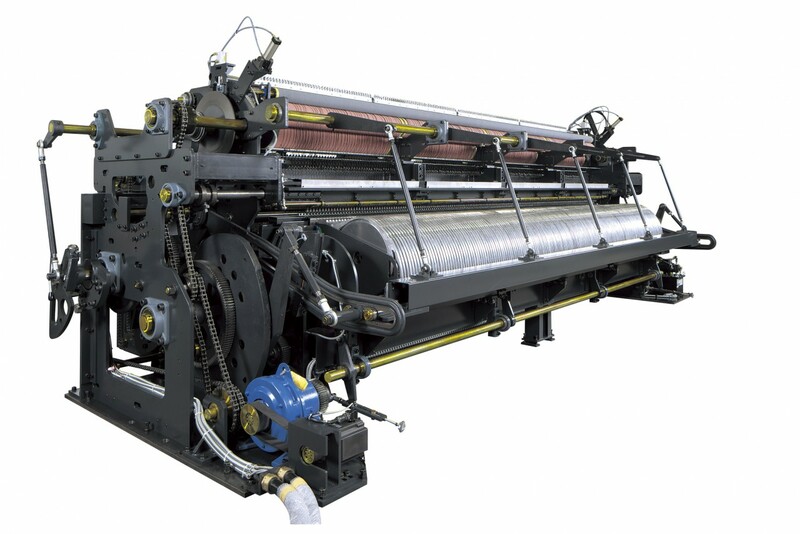 Sheets of netting are treated with resin, see right, as they flow out of the machine insuring that the knots remain tight and uniform prior to stretching. This device allows for the convenient handling of bulky netting after resin treatment. This device, located just prior to the net forwarding rollers, provides constant and uniform tension. Ideal for slippery or heavy twines. may be designed to meet your specific needs if requested.